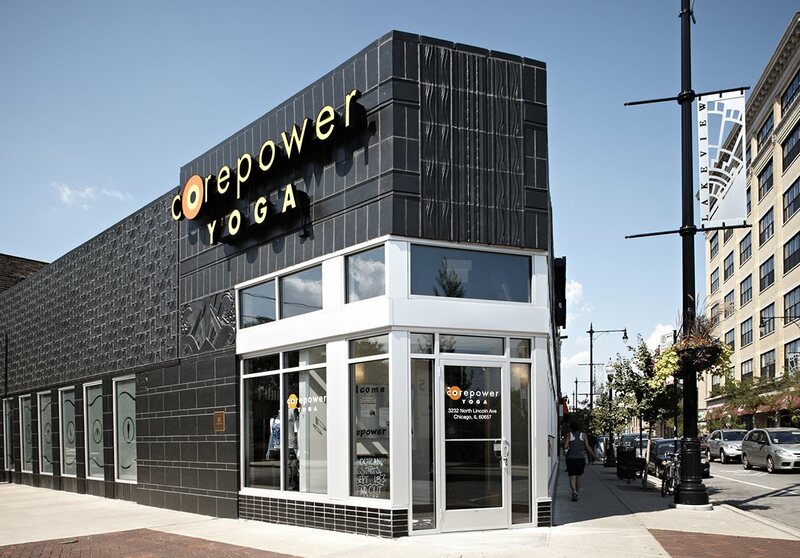 The original ebony-hued terra cotta facade has been thoughtfully restored on this historic structure that now serves as CorePower Yoga’s Roscoe Village studio. 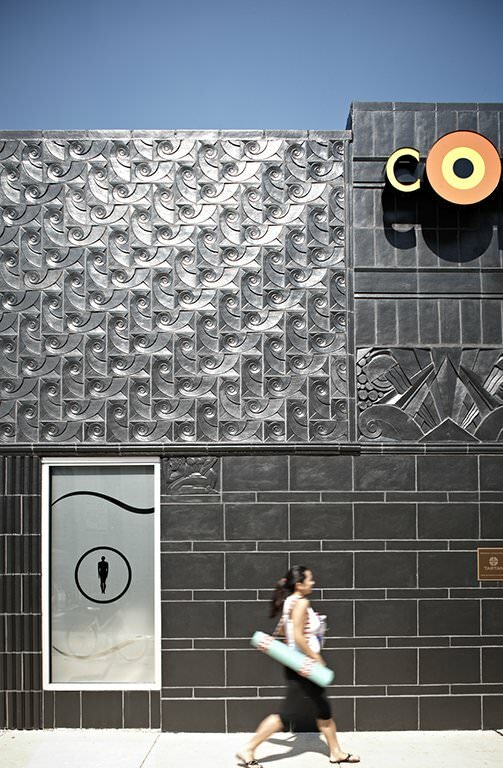 Long vacant, the Art Moderne features of the 1930’s building had been concealed by metal panelling, dryvit, and the vestiges of signage and awnings from previous tenants. 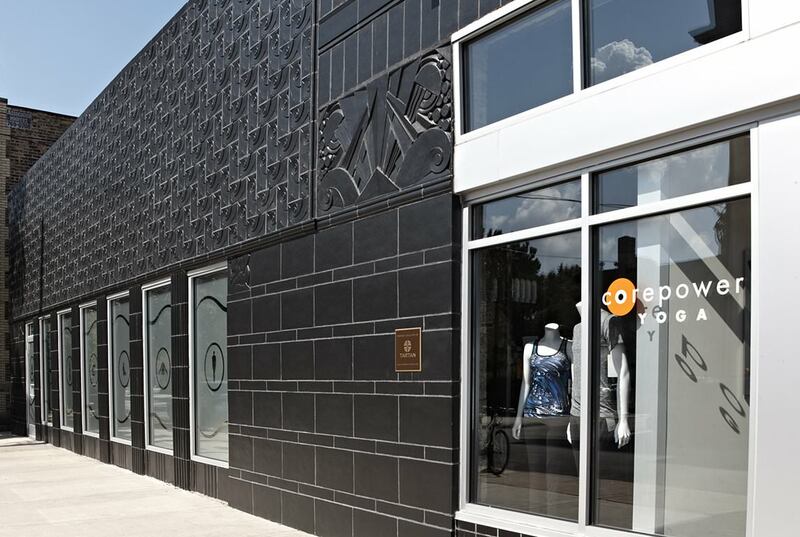 HPA devised a strong storefront statement within a historically appropriate treatment of the building. The cladding additions were carefully removed and the terra cotta underneath was restored. A new storefront curb was seamlessly integrated using glazed brick tile in a matching ebony tone. Restoration plans for the Orange-rated structure were well coordinated with the Chicago Landmarks Department.